The last time I wrote, I mentioned that I felt my calf pop. That was 23 March. Turns out it's pretty lengthy recovering from a calf injury. I'm not sure if it was a strain or a minor tear, but today - six and a half weeks later - I did a 10k without any issues. 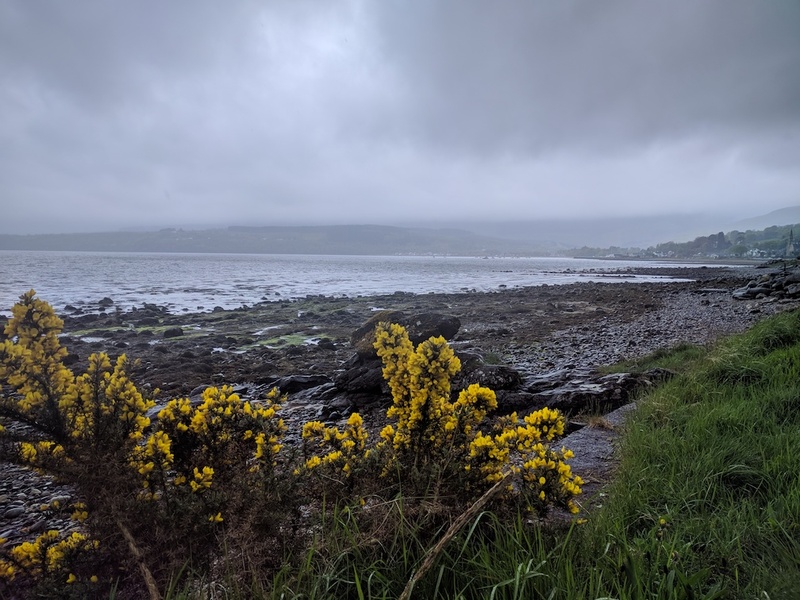 I ran a couple of weeks after the first strain thinking it was OK - supporting my new compression socks too :) - but the bloody thing popped again sending me back to the beginning of the recovery process (and an embarrassing hobble through Lamlash!). After lots of stretching, resting, a bit of swimming, more stretching and some light jogging in the last two weeks stretching every 200m or so, it now feels stronger - or less fragile! 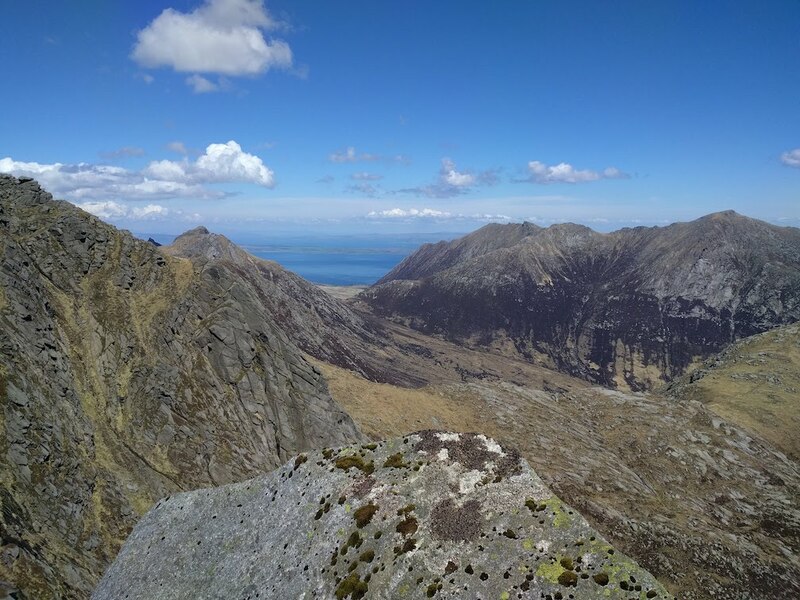 Sadly, I missed the Ormindale 10k in April as a result of the strain, but have signed up to the Arran 25k called the Tarsuinn Trail on 16 June. So with some strength training (I need to Google that...) and lots of stretching I should be OK for it. 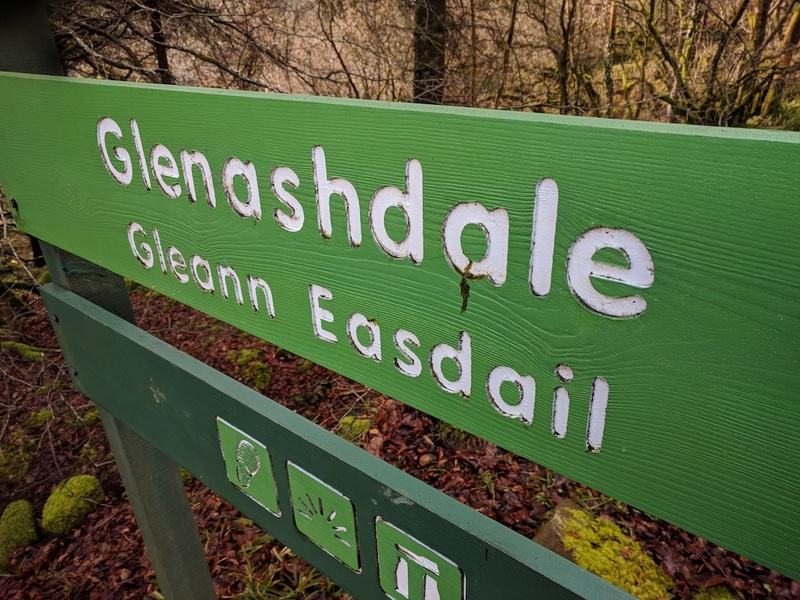 Yaldi! 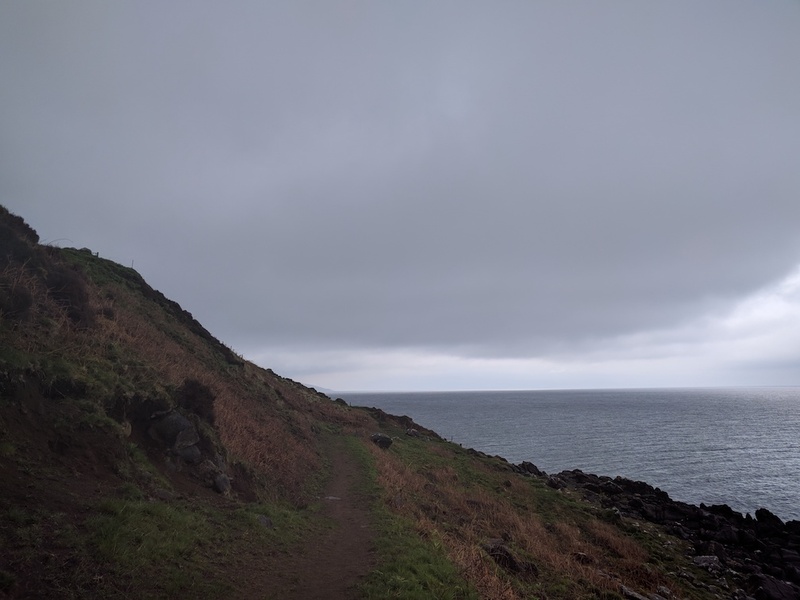 Today's 10k was flat and on the road, but a lovely costal run. 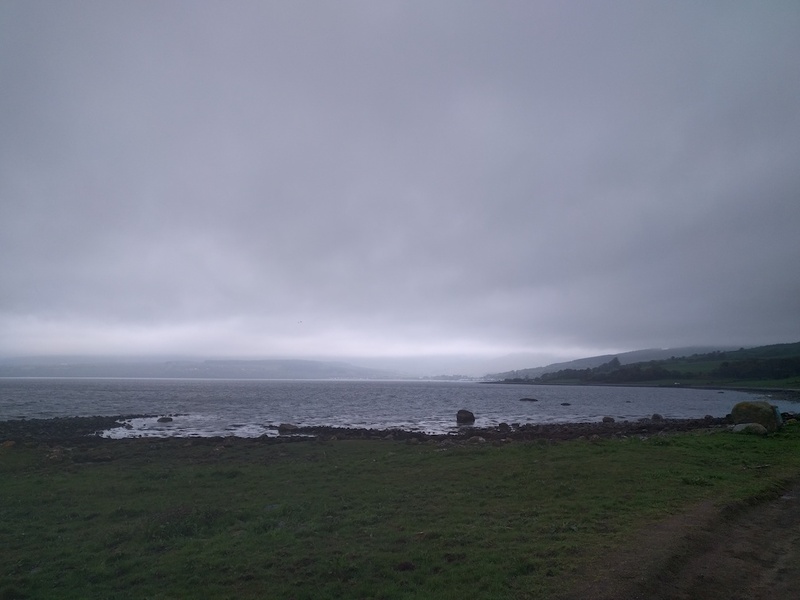 Start from the Arran Fine Foods at Lamlash and run through the village. 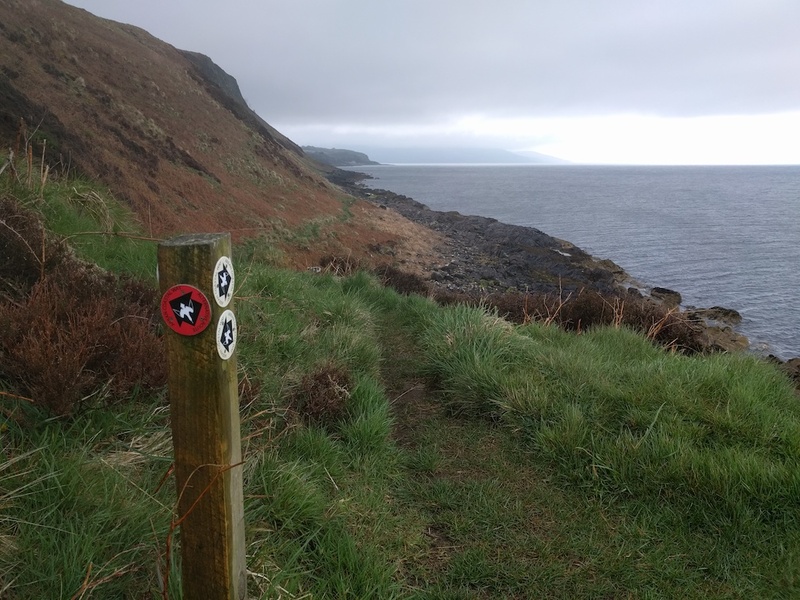 Hug the coast line all the way round until you get to a point where the coastal path splits (there is a sign) pointing up to Clauchland Hills or along the coast to Brodick. If you turn there and head back, it's a 10k in total. Perfect for getting back into it. Here are some photos. Scotland has been having a heatwave over the last few weeks. It has been glorious. When you get weather like this the scenery is stunning - partly owing to how untouched the natural landscape is. If it was 25C+ throughout the summer then we'd get apartment blocks, man-made beaches and all the other junk that comes with heavily populated tourist areas.